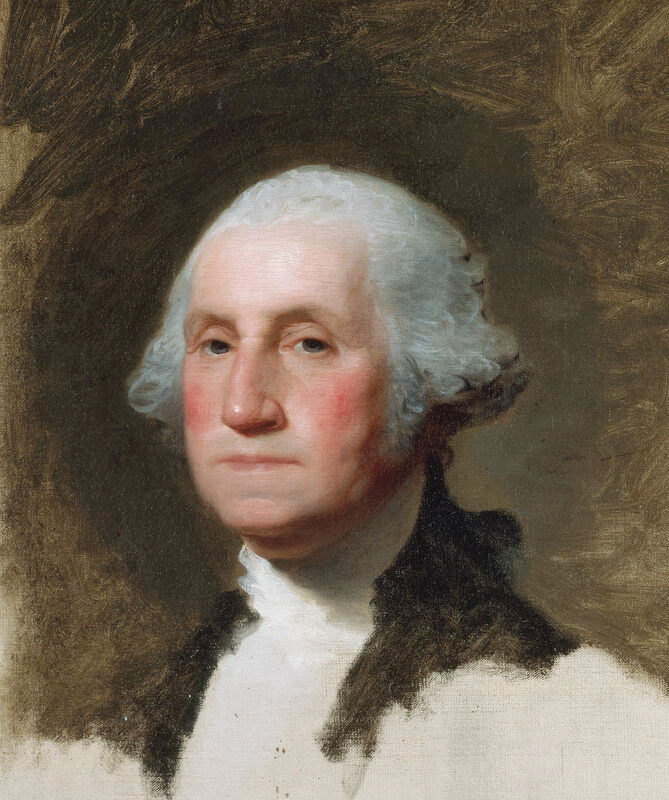 At the time Gilbert Stuart painted the portraits of George and Martha Washington [1980.2], he was the foremost portraitist in the United States. He was, in effect, the unofficial painter to the new nation. 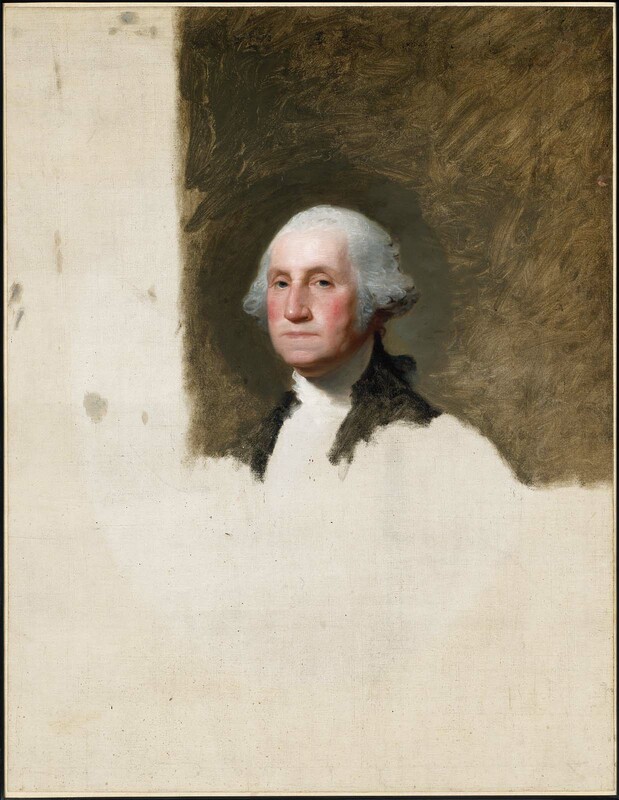 He portrayed many leading political figures and wealthy citizens, and his sitters also included James Monroe, James Madison, and John Adams [1999.590]. Born in Rhode Island, Stuart had studied with Benjamin West in London, developed a fluid painting style based on contemporary English portraiture, and then successfully competed for commissions with British artists. 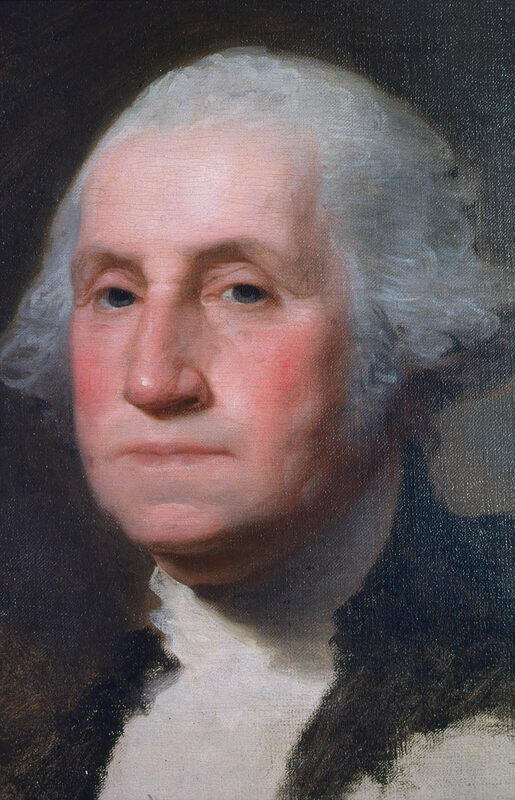 He returned to the United States in 1792 and established studios in both Philadelphia and Washington, D.C. He also worked in New York before permanently settling in Boston in 1805. 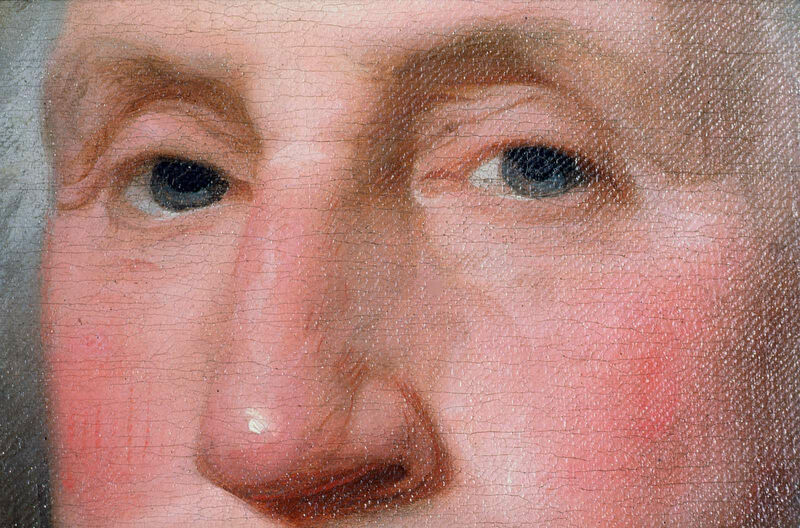 This most famous image of George Washington was commissioned from Stuart along with its pendant of Martha Washington shortly before the president retired from public service. 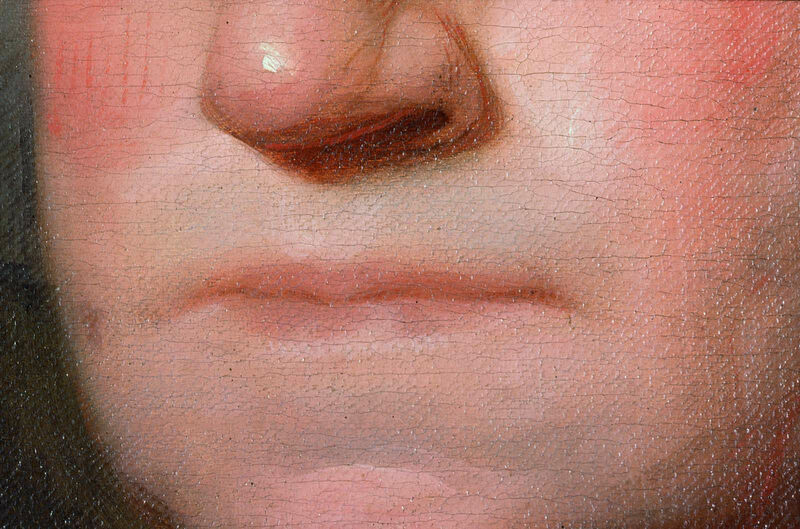 Both portraits were painted in Germantown, just outside of Philadelphia, in 1796. Stuart never delivered the portraits. 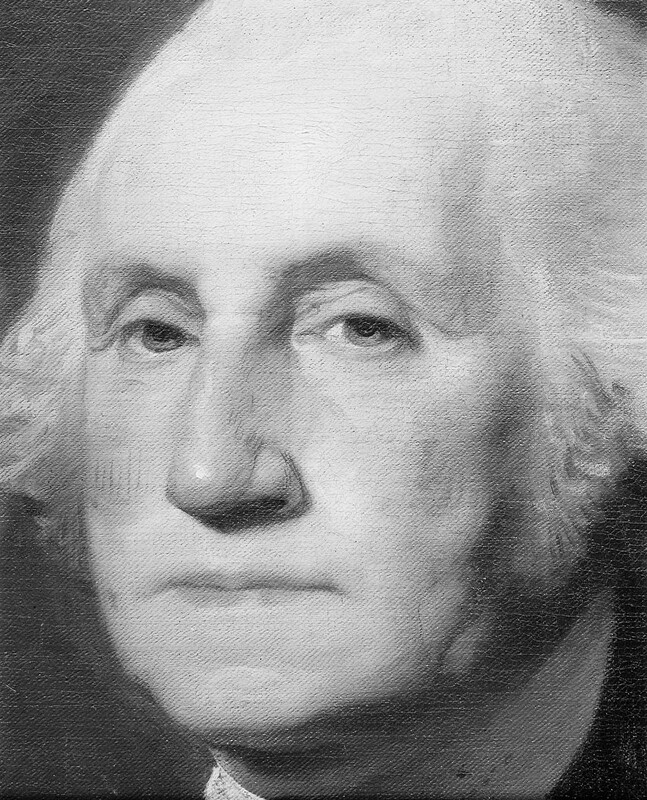 Washington’s popularity as a national hero escalated after his death, and Stuart used this painting of the president as the model for the numerous replicas ordered from him over the years. 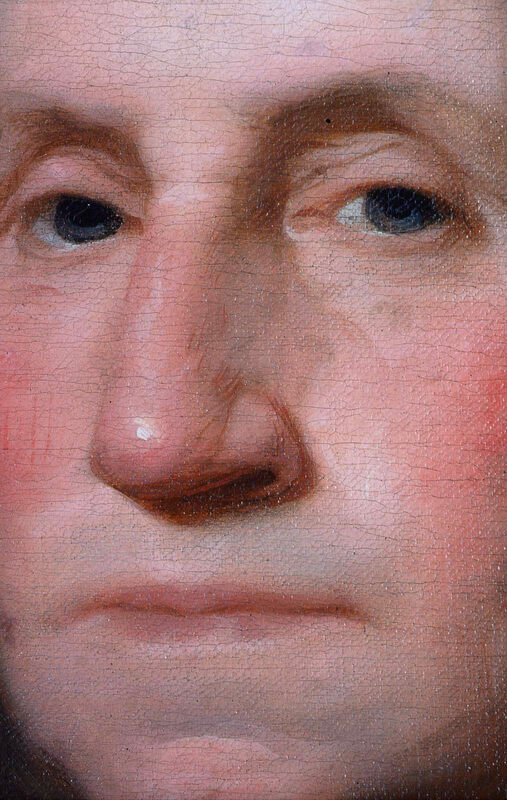 One visitor to the new United States commented, “Every American considers it his sacred duty to have a likeness of Washington in his home, just as we have images of God’s saints.”Stuart, however, reportedly referred to the image irreverently as his hundred dollar bill—the price he charged for a copy. Over sixty copies survive, and the portrait ultimately became the source for the face of Washington (in reverse) on the U.S. $1 bill. Frames for both Washington portraits were made by John Doggett, a cabinetmaker, frame maker, picture dealer, and entrepreneur, when the Boston Athenaeum purchased them from Stuart’s estate in 1831. Doggett also owned and framed Thomas Sully’s gigantic Passage of the Delaware [03.1079]. 1. AvrahmYarmolinsky, Picturesque United States of America, 1811, 1812, 1813: Being A Memoir on Paul Svinin, Russian Diplomatic Officer, Artist, and Author (New York: W. E. Rudge, 1930), 33–34. William Francis Warden Fund, John H. and Ernestine A. Payne Fund, Commonwealth Cultural Preservation Trust. Jointly owned by the Museum of Fine Arts, Boston, and the National Portrait Gallery, Washington D.C.